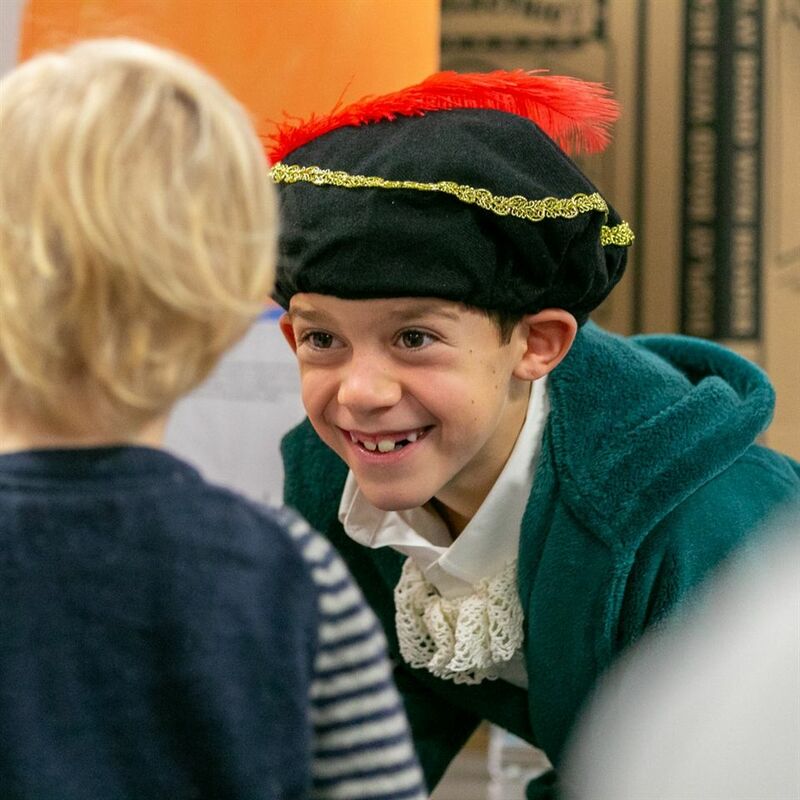 In the culminating celebration of their “Explorers” unit, Grade 3 students took on the life of historic characters, representing explorers from all walks of life and time periods during the Living History Museum on November 19. Students did their own discovering as they researched and prepared to depict historic figures, explorers, and leaders like Neil Armstrong, Ernest Shackleton, Sacajawea, Rachel Carson, Albert Einstein, Florence Nightingale, Marco Polo, and Jane Goodall, among others. Having visited Plimoth Plantation to interview living history actors, Grade 3 students read books, researched websites, watched movies, created timelines, and wrote diary entries to learn more while diving into their characters’ thoughts, aspirations, and life stories. Students also utilized programs in the MakerSpace to create 3-D props and artifacts for their characters’ costumes to bring authenticity to their portrayals. Guests were welcomed to the “museum” to meet the explorers as the Grade 3 students remained in character to answer questions and provide details about their individual’s discoveries and accomplishments. Congratulations to the Grade 3 students on their successful mission to bring history to life!